If you’re planning a vacation in Turkey, you don’t want to miss sampling the top traditional Turkish dishes and drinks. Because not only is this country rich in history, filled with stunning architecture and graced by some of the world’s most beautiful beaches, it also happens to be one of the most incredible countries for food. Turkish cuisine reflects the legacy of the Ottoman empire as well as the flavours of Asia, the Mediterranean, Aegean, Balkan, Slavic and Western worlds. This diversity, combined with the passion of local cooks, producers and other culinary ambassadors who are often willing to introduce you to their favourite restaurant, share a recipe or give advice on cooking regional ingredients, makes visiting Turkey a memorable experience for food lovers. It would take a lifetime to experience every traditional Turkish dish or drink. 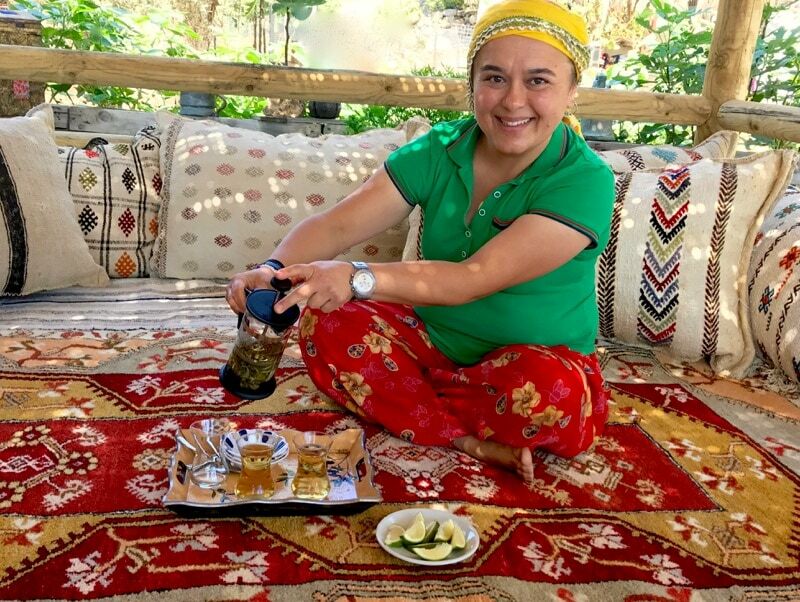 From sampling organic olive oil on the Bodrum peninsula to enjoying a traditional lunch in a lokantasi (restaurants for shopkeepers and tradesmen), there’s so much Turkish cuisine to explore, it’s easy to become overwhelmed by all the choices. So, if you have a limited amount of time, it’s wise to make a plan. 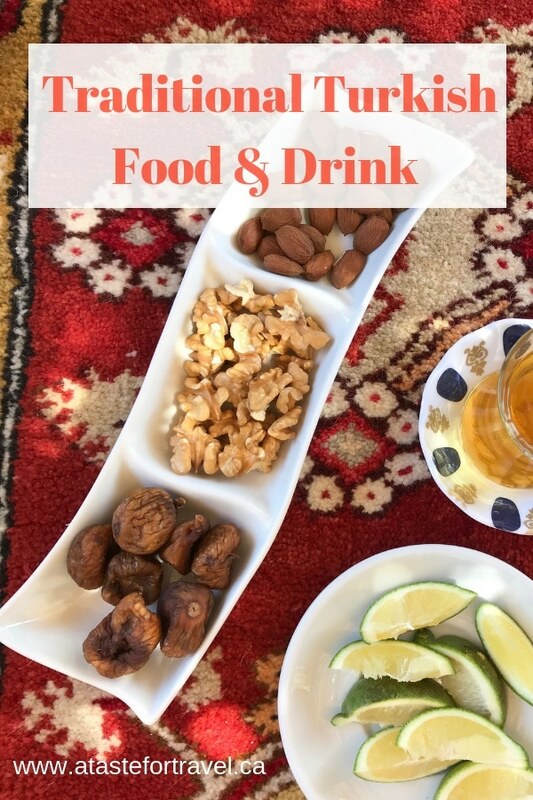 To help select the best food to try on a vacation in Turkey, I asked my travel blogger pals to share their favourite Turkish dishes and drinks. Here’s our ultimate list of must-try Turkish dishes and drinks everyone should try on a visit to Turkey. 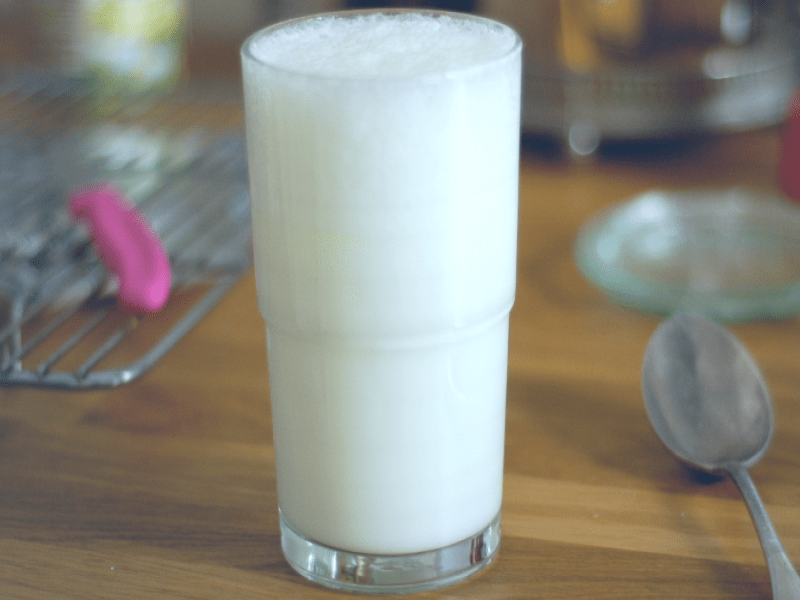 By far and away one of the most memorable drinks you can buy in Turkey is ayran. 50% sheep’s yoghurt, 50% water with a pinch of salt for flavouring, it is certainly unique. As you may imagine, it’s very thick but it packs a flavourful punch too. It is served as standard when accepting guests in Turkey and although it will be found on menus around the country, so whichever part of Turkey you visit you can be sure to have access to some. Even MacDonald’s sells ayran in Turkey! During the summer, locals like to add finely chopped mint leaves to a fresh, foamy glass of ayran to create a more refreshing drink. President Erdoğan recently called it “the national drink”, and as with a lot of Turkish culture, they are extremely proud of their ayran. Be sure to grab yourself a glass of this thousand year old traditional beverage when you’re in Turkey! What probably originated from the kitchens of the Topkapi Palace in Istanbul is one of the best dishes in Turkey – Turkish Baklava. While baklava is a common dessert across various Balkan states, it originated from the Ottoman Turks. Baklava is a sweet pastry with a filling of honey and chopped nuts which leave a delectable taste as they melt in your mouth. The variations of this dessert come from the variety of nuts used in the filling. While walnuts, almonds, and pistachio are commonly used, some parts of Turkey use hazelnut for the filling. Cinnamon, nutmeg and cloves are used for the preparation in some regions. Baklava is one of the most popular desserts available from the biggest of stores, to small cafés and restaurants across the country. The Turkish baklava that I first tasted at the famed Hafiz Mustafa’s in Istanbul instantly had me falling in love with the dessert. It indeed is the best place to have your first baklava and many other Turkish desserts with their expertise in the recipe since 1864 for 154 years. 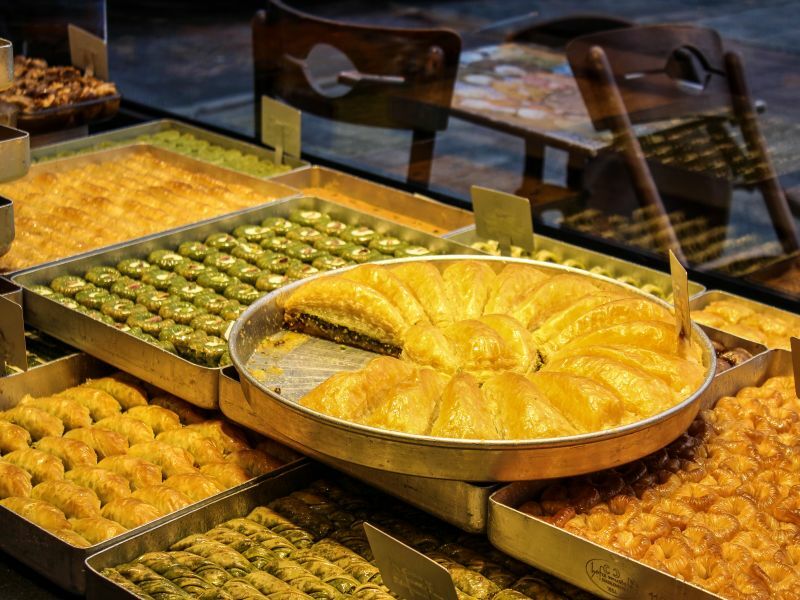 There are many branches of Hafiz Mustafa in Istanbul where you can try and buy the baklava with an exquisite range of variations and affordable prices. I’d highly recommend the classic baklava and the pistachio baklava! Börek is one of the national dishes of Turkey – and in my opinion, the best snack you can get. Börek is perfect for breakfast, as a snack, but also for your lunch or dinner – it’s simply a perfect allrounder of the Turkish cuisine. 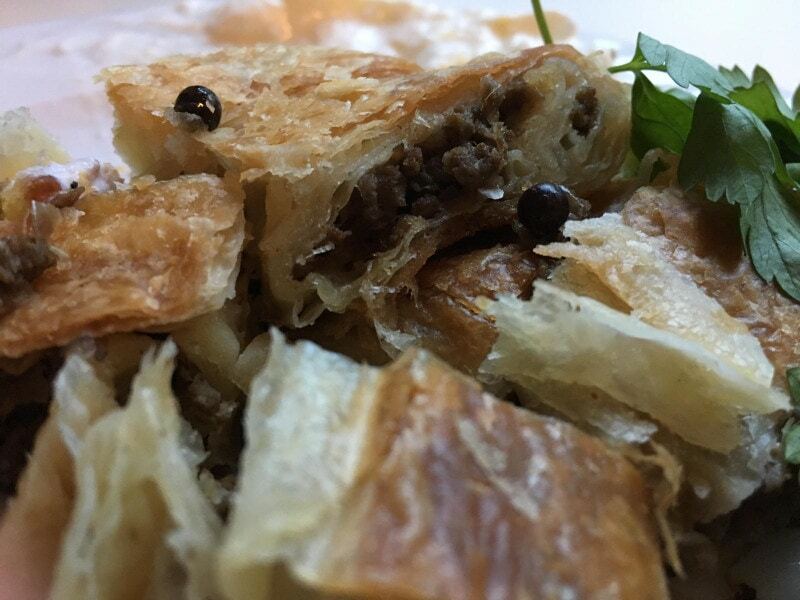 Börek is basically a baked filled pastry made of a thin flaky dough known as phyllo, of Anatolian origins. While the dish is also popular in other regions (like the Balkans), it has its origins from the Ottoman Empire. In Turkey you can enjoy Börek in various versions, that mostly differ in the filling. You can have it with potatoes, meat, cheese, spinach and much more. My personal favorites are cheese & spinach. The best thing about Börek: It’s amazing that no matter where you try it in Turkey you are guaranteed to get a tasty Börek. I usually recommend enjoying it in a traditional restaurant or coffee shop, where they will serve you house made Börek. I personally love to eat Börek next to the Bosphorus, which is one of my favorite things to do in Istanbul. If you Google cig kofte, you’ll see the first few results describing it as a raw meatball dish. As a vegan, this was a bit startling and confusing. Never fear, as it’s a delicious dish made from bulgar wheat, that looks very similar to raw meatballs! There are some places that serve cig kofte in a wrap, but the most common way you’ll see it is served alongside a mixture of vegetables, mint, and lemon. The lemon adds a wicked taste to the bulgar wheat, which usually is combined with tomato, onion, chili, and salt. It’s a satisfying meal for lunch, and affordable too, with a plate costing anywhere from 4 TL – 12 TL at an average restaurant. Note: it is not always easily found, but if you look online you’ll find a restaurant that serves it. 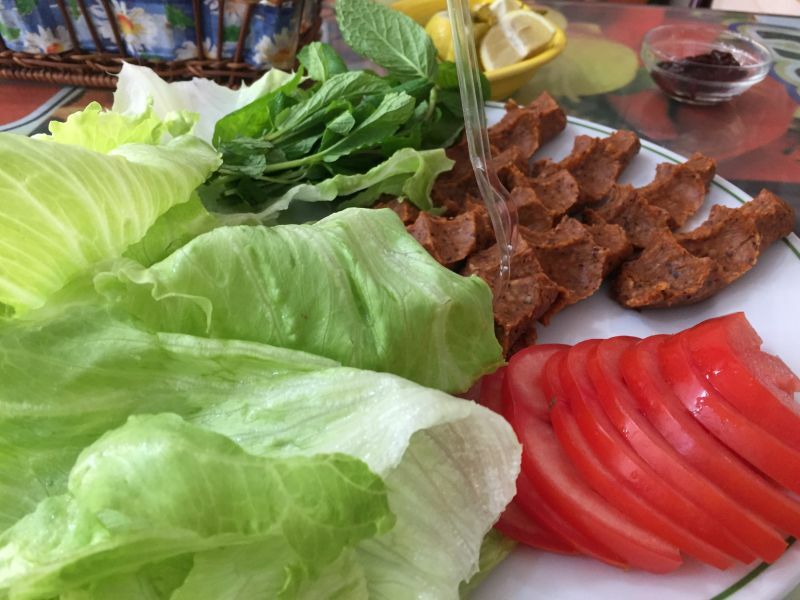 If you want a unique cig kofte experience, head to Çiğ Kofteci Ali Usta in Istanbul. It’ll be the most entertaining 4 TL you’ll ever spend. Although most people know Greek tzatziki well, few have heard of its Turkish cousin, cacik. It’s a yogurt cucumber dip that you can find throughout Turkey and actually there are versions of this dish around the world. Many cultures have created a yogurt dip, like raita in India or mast-o-khiar in Iran. You can find cacik at any restaurant that serves mezzes (small dishes). But you’ll also find it in many local homes as it is so easy to make with full fat yogurt, shredded cucumber, lemon juice and mint or dill. While tzatziki and cacik appear to be the same the difference is in the yogurt. 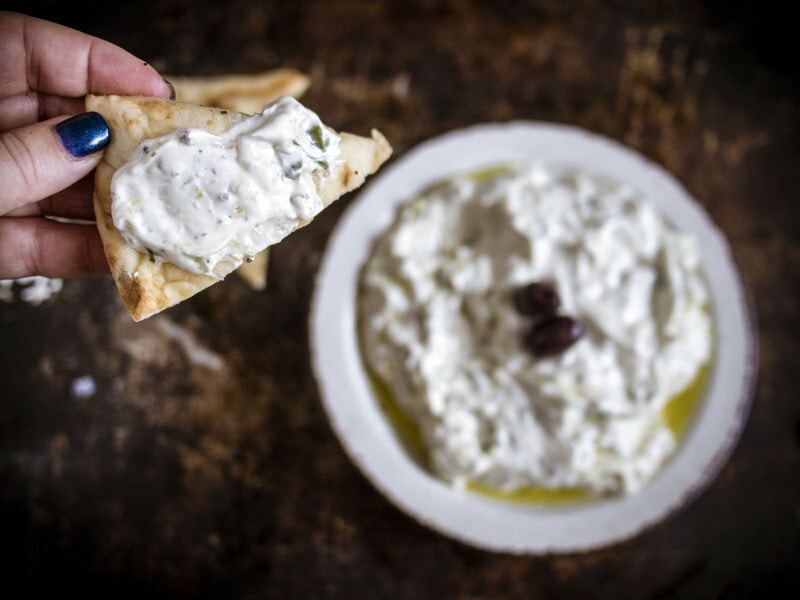 Greek tzatziki often uses goat or sheep dairy but a traditional cacik recipe uses yogurt from cow dairy. It is served thick as an accompaniment for grilled meat or meat balls but sometimes it’s served a bit thinner as a cold soup. Among all the dishes, snacks, drinks in Turkey, I think Dondurma, the Turkish ice cream takes the cake when it comes to dramatic presentation. Dondurma is also consumed in northern parts of Greece where it is called “Dudurmas” or “Kaimaki”. Dondurma literally means ‘freezing’ in Turkish. Two qualities that differentiate this ice cream from others are texture and density. It does not melt! It is served cold but not frozen and it is dense and chewable and has great elastic powers. It does not come even close to the ice cream we normally eat except that it’s also served in a cone. Sometimes it is so sticky that it is eaten with a knife and fork! Gozleme is one of the most common foods in Turkey. You can find it as a street food or in restaurants, and it’s perfect for children and adults alike, mainly because it’s so easy to eat just with your hands. Gozleme is a flatbread that after being rolled out is baked on a rounded grill. In bigger cities like Istanbul, the ladies who make it are often seated in restaurants and will not only make you a fantastic treat, but will happily pose for a photo or two. There are all kinds of fillings, like cheese, hamburg, spinach, and even potato. It’s extremely cheap, and will only cost you a dollar or two, depending on where you are. Kids love it, and when it’s cold outside, it will warm you up quickly. Don’t miss out. 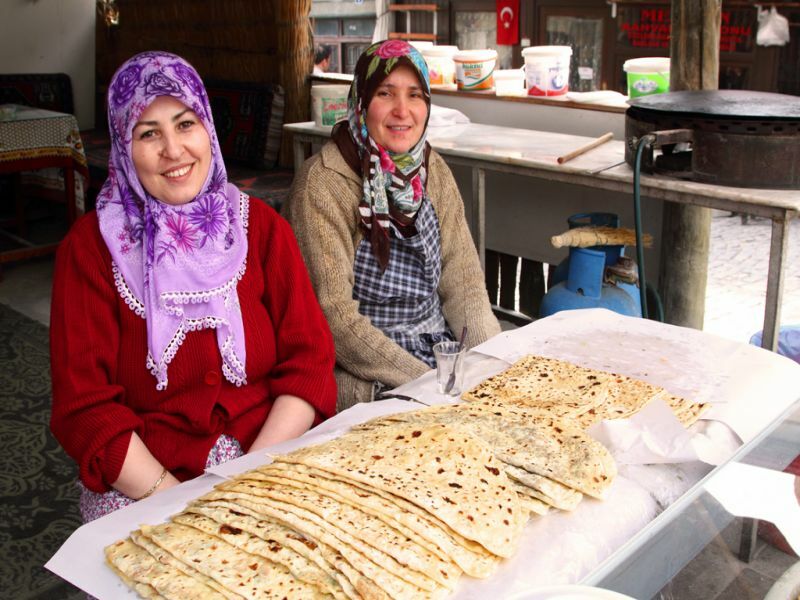 Gozleme is a must-try in Turkey. I’ll bet it quickly becomes one of your favorite Turkish foods. 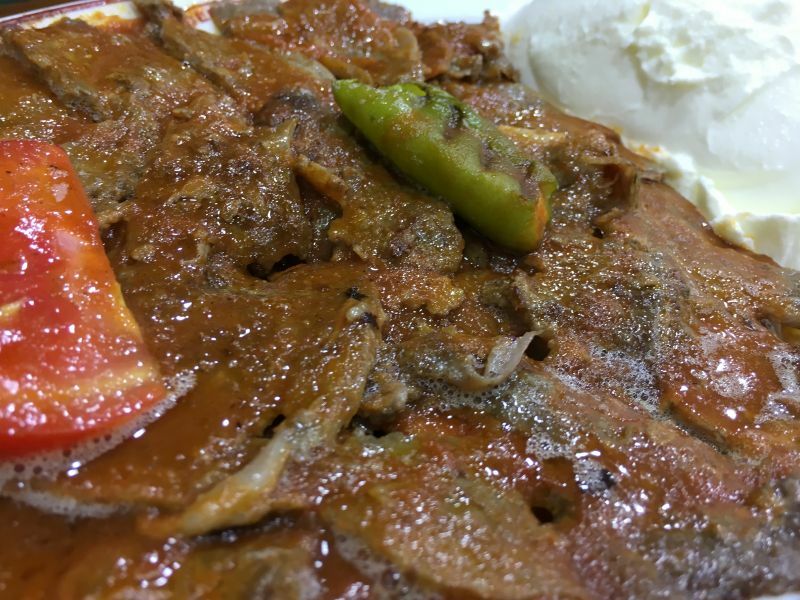 The Iskender Kebab is one of the best known Turkish dishes of North-Western Turkey. 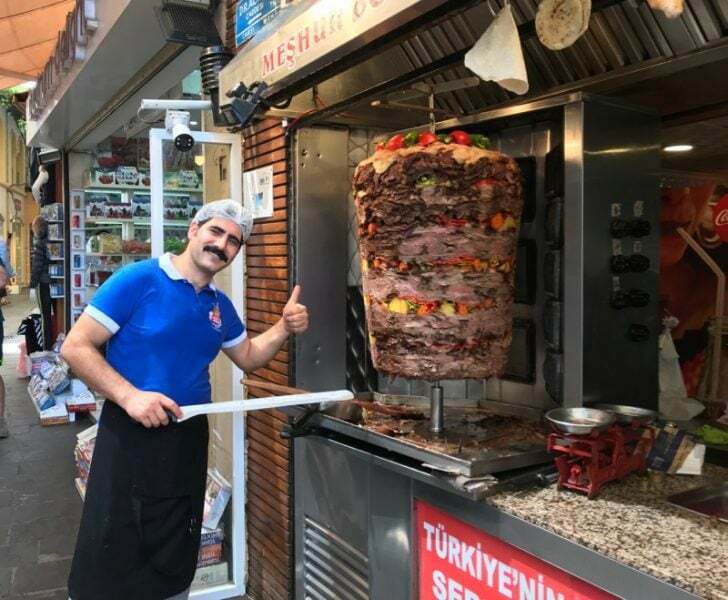 You’ll find this in many places in Istanbul, look for a doner kebab rotisserie near the front of the restaurant. The Iskender Kebab takes its name from its inventor, Iskender Effendi who lived in the Ottoman Empire in Bursa in the 19th century. You may also find it in Istanbul restaurants as “Bursa Kebab” after its creator’s home. An Iskender kebab consists of doner kebab – thinly sliced rotisseried lamb topped with hot tomato sauce, served on pieces of pita bread. It’s also served with generous helpings of butter and yoghurt. It’s a Moorish, filling dish, comfort food for cold nights, although we also enjoyed it on hot days too! 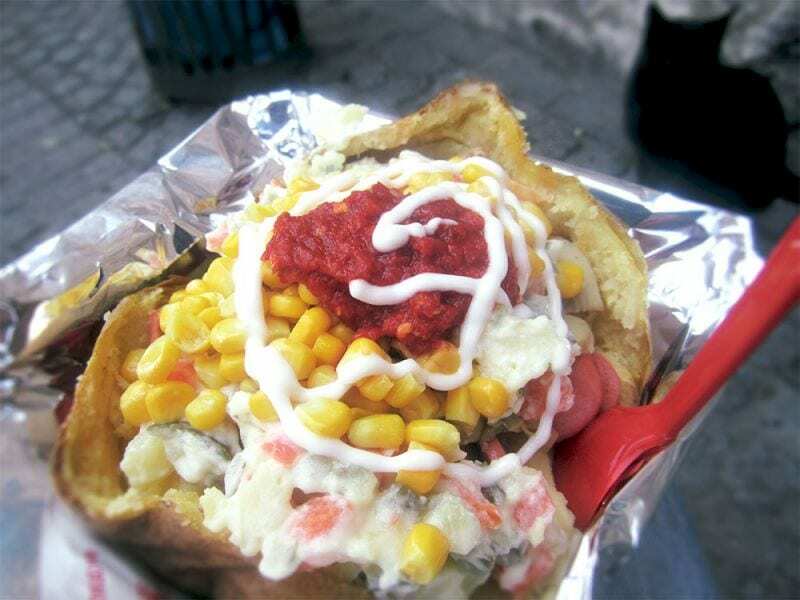 A popular street food in Turkey is Kumpir, or stuffed baked potato. It’s no ordinary baked potato though – kumpir typically uses huge potatoes that are stuffed to bursting with all manner of ingredients, and it’s a colourful, decadent treat. The baked potato is actually mashed with butter and cheese within its jacket, and then you can load it up with a plethora of fillings and toppings, much like at a Subway shop. This makes it a great option for vegetarians. Typical options include sweet corn kernels, olives, sausages, pickled beet, mushrooms, and more – but don’t be too greedy! Four or five toppings is a good number. Top it off with yogurt and bulgur salad, and you have a really satisfying meal. Kumpir can be found just about anywhere, but it is most famous in the Ortaköy neighbourhood of Istanbul, which lies along the Bosphorus. Here, a line of kumpir and waffle kiosks colloquially known as “Kumpir Sokak” (meaning “Baked Potato Street”) serve piping hot kumpir for you to enjoy along the waterfront. Turkish food is one of my favorite of the Balkan cuisines, and a good part of that is their delicious desserts! 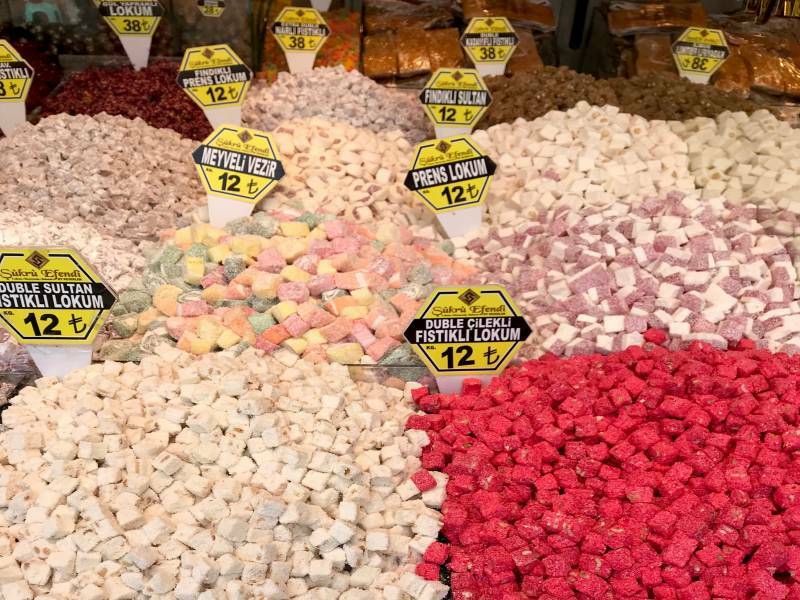 While of course, I love baklava and halva, I think one of the most delicious of the Turkish desserts is Turkish delight (lokum). Made of a jelly of starch and sugar, these candies are given various flavorings such as walnut, pistachio, and rose. Often, chopped nuts or fruits will be inside as well. They are then typically dusted in a fine powdered sugar, but you can also find specialty Turkish delight that is coated in coconut, rose petals, crushed nuts, and other coatings. My favorite way to enjoy Turkish delight is to have a few with a cup of strong Turkish coffee. And because they are a jelly candy, they stay fresh for quite a while which makes them the perfect gift to bring to loved ones back home, so be sure to buy a few boxes to bring back! Similar to tapas, mezzes are a selection of small appetizers served at the beginning of a meal or as an accompaniment to a drink. While you’ll often see cheese and cacik ( noted in more detail on our list) appear as snacks, there are many other delicious tapas you’ll typically see on a mezze platter. Some of my favourite meze are dolmas (grape leaves stuffed with rice), Patlican saltais (eggplant salad), grilled calamari,lamb meatballs and more. 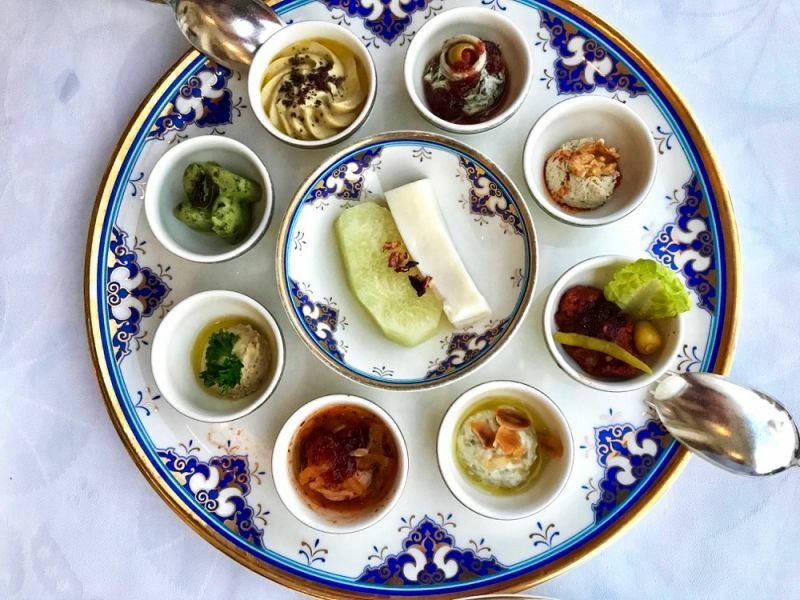 One of the most interesting mezze platters I discovered was at Tuğra Restaurant and Lounge on the first floor of the original Çırağan Palace in Istanbul. 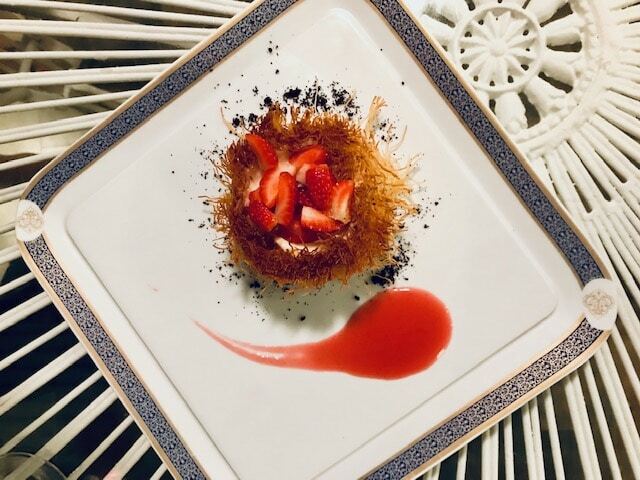 Set overlooking the Bosphorus, this fine-dining restaurant serves classic Ottoman specialties like Lamb Külbastı and Testi Kebab and is widely considered Istanbul’s most romantic and luxurious dining experience. If you’re in Istanbul for a special occasion, you won’t be disappointed with an evening at Tuğra. Their Tuğra platter features several unique bites including Iskenderan prawns “pilaki”, marinated anchovy ‘mastave”, hummus, rose flavored melon, Circassian chicken with walnut and more. It’s truly a remarkable taste of the ancient world. They also offer a dolma platter that looks equally enticing. On a late evening at the Eminonu Pier in Istanbul after all the fishermen had left the Galata bridge, I was walking aimlessly along the many food vendors selling fish sandwiches. I wasn’t exactly hungry but sightseeing for the entire day had left me dehydrated. Just outside the seating tables of the fish sandwich shops I found a small handcart selling something unique. 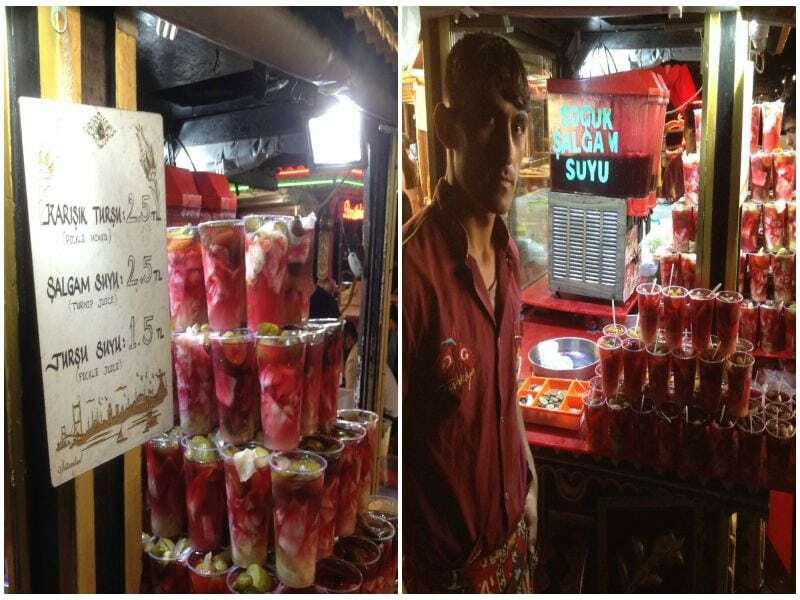 At first, I mistook the bright pink juice stall to be a falooda stand but on closer inspection, it turned out to be selling a couple of different types of juices – turnip juice and pickle juice to be precise. I went with the vendor’s recommendation and tried the Tursu Suyu, or Pickle juice that basically tasted like liquid kimchi. Suffice to say that the drink takes some getting used to as the pickled vegetables develop a tangy, sour taste that is not only healthy but a great local discovery in the heart of Istanbul. It also solved my dehydration problem for the rest of the evening. I’d recommend this only to those who love fermented dishes or have extensively eaten in Far East Asia. Raki is an unsweetened, aniseed flavoured alcoholic drink that is very popular in many parts of the Mediterranean, particularly Turkey where it is the national drink. It’s similar to Greek ouzo and French pastis. This popular Turkish drink is distilled from a byproduct of grapes in traditional copper vats and is traditionally consumed with chilled water on the side. Ice cubes are often added. When it mixes with water it turns a milky white colour and because of that and its high alcoholic punch the Turks often call it Lions Milk. Thirsty Turks sip 60 million liters of Rakı each year, mostly at the end of a meal.It is quite potent (80- to 100-proof/40% to 50% alcohol) and is supposed to be consumed in small quantities. When we visited Turkey we were offered it, complimentary, after every meal, sometimes multiple times. A restaurant that we really enjoyed in Istanbul called Eleos, serve it at the end of each meal in a big ice bucket along with a large quantity of fresh fruit. I’m not a fan of anise/licorice so rarely drank any but plenty of people seem to love it! 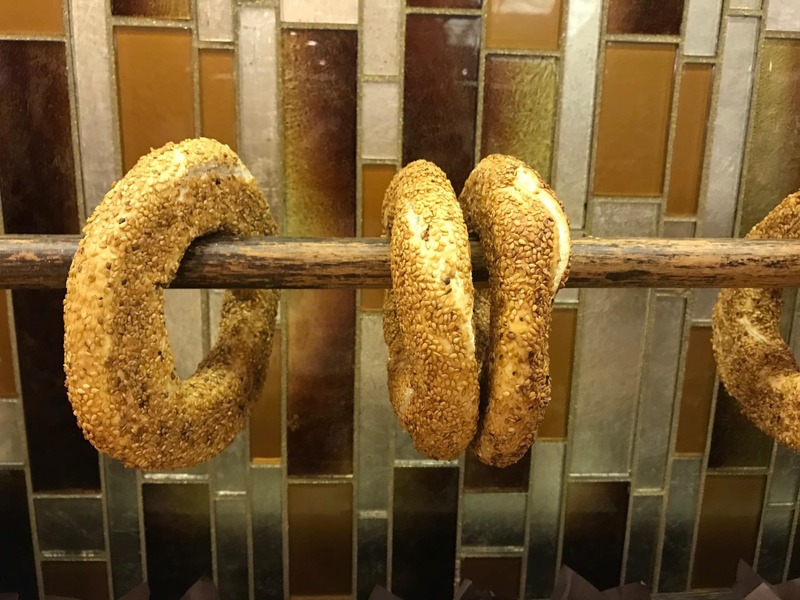 Simit is ubiquitous in Turkey: similar to a pretzel or bagel and covered in sesame seeds, this delicious bread is sold in carts all over cities and towns in Turkey (especially in Istanbul! ), and is easily one of the most popular breads in Turkey. Any trip to Istanbul will undoubtedly involve passing dozens of busy simit carts, with locals lined up (especially in the morning) to buy simit–some picking up just one for a snack, and others buying entire bagfuls to take home for the day. Chewy, filling, and tasty, simit can be eaten alone as a street food snack, served alongside a sit-down meal at lunch or dinner, or dipped into everything from hazelnut butter to honey to olive paste with a classic Turkish breakfast (personally, I think this is the very best way to eat simit). While traveling through Turkey, be sure to try simit both on its own and with a meal–your taste buds will thank you for it! 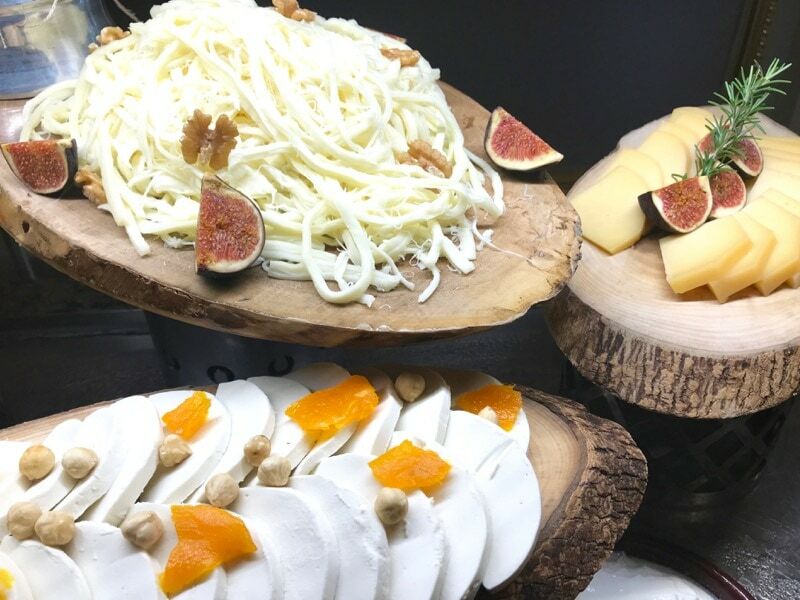 Turkey really is a country for cheese lovers. There are roughly 1,000 different varieties of cheese produced in the country and they are enjoyed at all times of the day. Turkish cheese is an important part of any Turkish breakfast and if you’re staying at a fine hotel such as the Ciragan Palace Kempinski or The Bodrum by Paramount Hotels and Resorts, the morning cheese station will offer a dizzying variety of tempting cheeses, served along with an equally enticing array of olives, dried fruit and nuts. The types of cheese you’ll see most often include white cheese, which looks similar to feta cheese as it’s salted in brine. You’ll find this white cheese as an ingredient in popular Turkish dishes such as börek but it’s also enjoyed as an appetizer in cubes or with a glass of raki. Other must-try cheeses include dil cheese, which, when braided is known as örgü cheese. In addition to the typical cheeses available, you’ll also encounter some truly unique cheeses including one variety that comes packed in the hide of an entire goat skin. Sampling even a small variety of Turkish cheeses is definitely a highlight of any visit to Turkey. In ancient mythology, Dionysus was the god of the grape-harvest, winemaking and wine (as well as ritual madness and theatre). His origins were said to have been in Thrace, a region bounded by Bulgaria, Greece and eastern Turkey. So it’s no surprise that Turkey produces several quality indigenous grape varieties from wine-growing regions throughout the country. Some of the Turkish wines I’ve enjoyed during my travels through Turkey include a Prestige Narince 2016, a white Anatolian grape grown in the Cappadocia region, a pretty rose of Çalkarasi grape native to Çal in south-western Turkey and a Kayla Kalecik Karesi, a bright cherry red wine similar to Pinot Noir. 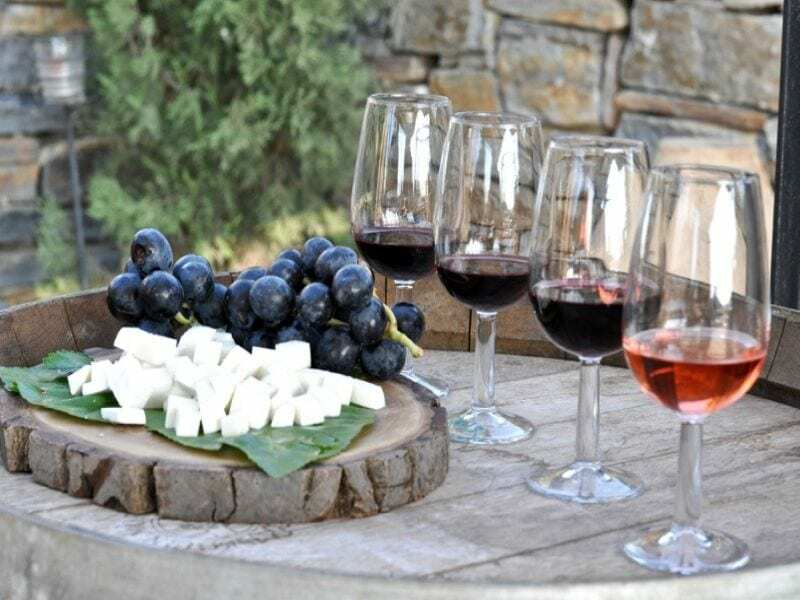 While there are many varieties of fabulous (and underrated) Turkish wines to sample, it’s also worth making a stop at Karnas Vineyards on the Bodrum Peninsula for something new. At these picturesque vineyards located near Çömlekçi, just 25 minutes from the heart of Bodrum, they are producing award-winning shiraz and zinfandel wines (the first in Turkey) as well as a lovely rose, featuring a wonderful balance of fruit and minerality. There are so many more dishes I would have loved to include in this list of Turkish dishes and drinks to try — such as menemen ( scrambled egg with tomato, onion and green pepper), deliciously creamy halvah and of course the many varieties of seafood — but this list should give you a start on where to begin when exploring the cuisine of Turkey. 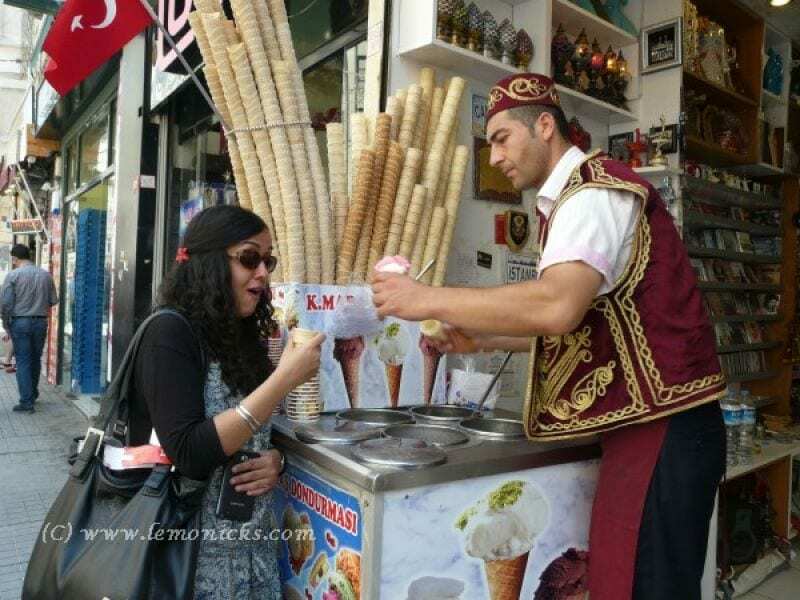 Food Walking Tours in Istanbul: Culinary Backstreets offers several walking tours of Istanbul. The culinary tour of the Bazaar Quarter is especially memorable. 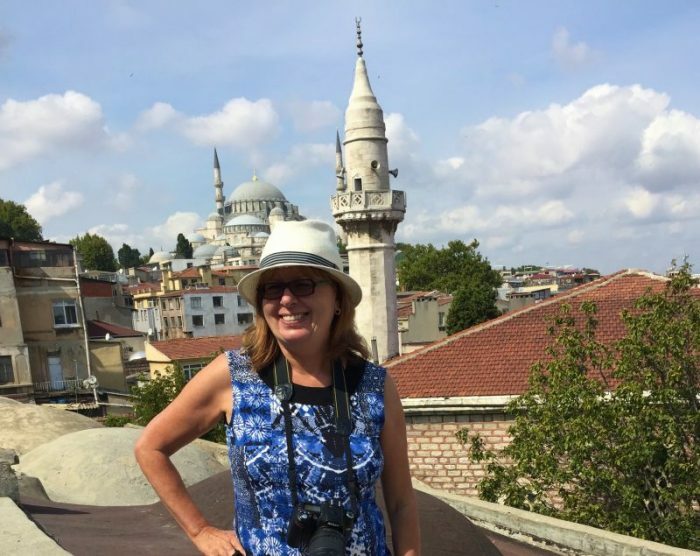 It begins in Sircesi, the end of the Orient Express and meanders through the narrow streets, alleyways and even rooftops of the Bazaar Quarter for five hours with stops for bites along the way. Istanbul New Airport: Istanbul New Airport, the new Turkish gateway, opened for passenger flights on October 31, 2018 with the existing main city gateway, Atatürk closing the same day. Thx for the great post about the tastes of Turkey. If looks like the variety and flavours are incredible. They really are! I hope to return to Turkey and explore even more. You’d love it Doreen. As someone who arranges all their travel around food, I loved this post! I want to try it all! Holy cow, i need all of this in my life stat! That baked potato- i must try it!! I love all ice cream and that cacic looks divine! I do know the greek version VERY well and it’s one of my favorite things, even as a dip for fries or pita, so i can only imagine i will fall in love with food in turkey, too. and that candy display! Pinterest worthy for sure! Sold! We are moving to Europe soon and I have a list of countries that I am so excited to visit, Turkey wasn’t even on there, now it is! This food looks delicious! I haven’t been to Turkey yet, but now I want to go even more! I didn’t realize cheese was such a big thing there, but I love cheese and want to sample all of it! lol! What a fun and tasty post! I loved everything I tried in Turkey though I often didn’t know what I was eating. The cacik was one of my favorites, and the Turkish delight. Yum! I mostly ate lamb and fresh veggies, though the Turkish cheese took some getting used to. 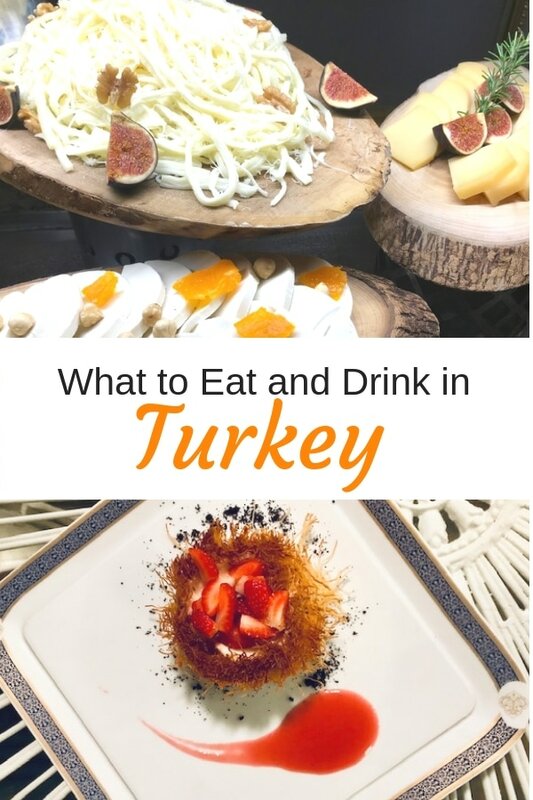 What a great summary of some of the many delicious things that Turkey has on offer! I may not like Raki much but its always a pleasure to be offered it. Turkey is one of my dream destinations for the food, And this article did a fantastic job of making me drool!! So many delicious delights. I’m quite intrigued by the taste of the ayran drink. I think it’s something I’d really enjoy. I’ve never thought of using a fork and knife for ice cream, now I want to know even more about Turkish ice cream. Exploring the wine region would be the third top activity I’d go for. I really hope to get to Turkey soon. You’ve got my stomach all ready! I love the photos and descriptions of these yummy-sounding Turkish specialties. First off, I’ll have the mezze platter followed by dondurma ice-cream. OMG! Everything looks delicious. It reminds me of Greek food. That baklava is mouthwatering. I’ve wanted to visit Istanbul but wasn’t sure it was safe these days. Yummy mouthwatering post it is. Thanks for sharing such amazing dishes. I am a very foodie guy who loves to try delicious dishes. It is perfectly my type of a post. Hope I could eat them all.